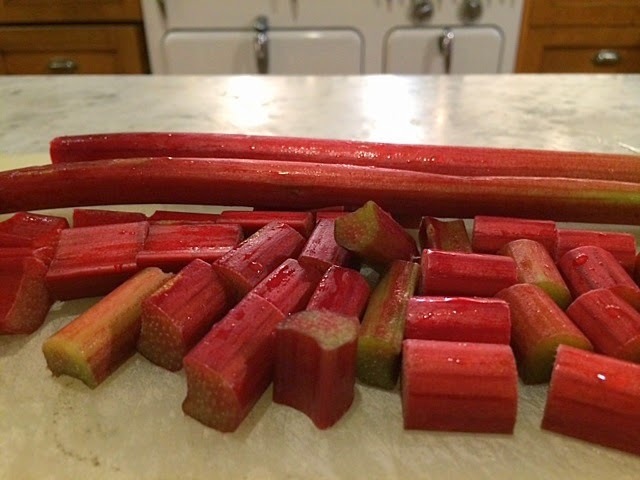 My mother, who rarely talks about her childhood, recently told me about the sauce her mother used to make from the rhubarb that grew wild around their New Hampshire home. She told me this on Wednesday, after I mentioned that I had come from the farmer's market with a big handful of rhubarb. 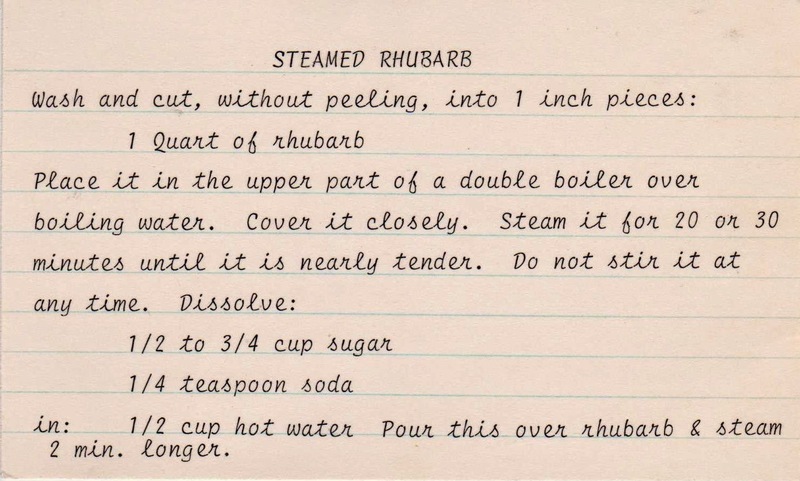 And, by happy coincidence just a few minutes after we ended our phone call, I found a vintage recipe card in my collection for something called Steamed Rhubarb. First, the sauce. 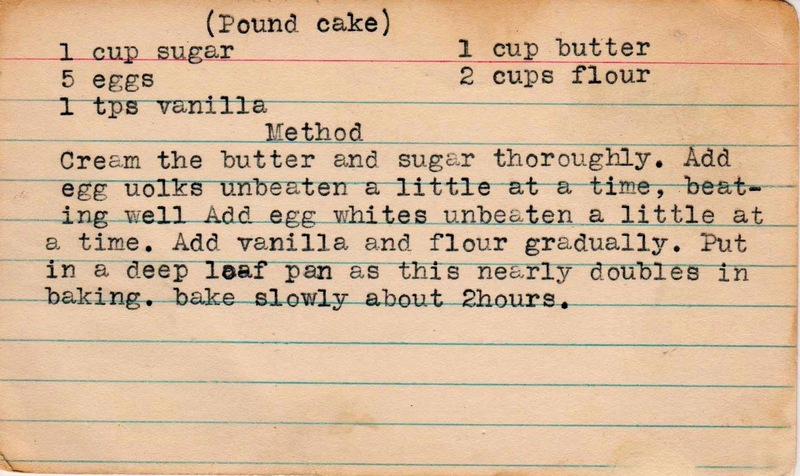 (Pound cake instructions are at the end of this post.) Wash fresh rhubarb and cut into pieces. Place in the top of a double-boiler -- I just stuck one saucepan on top of another. 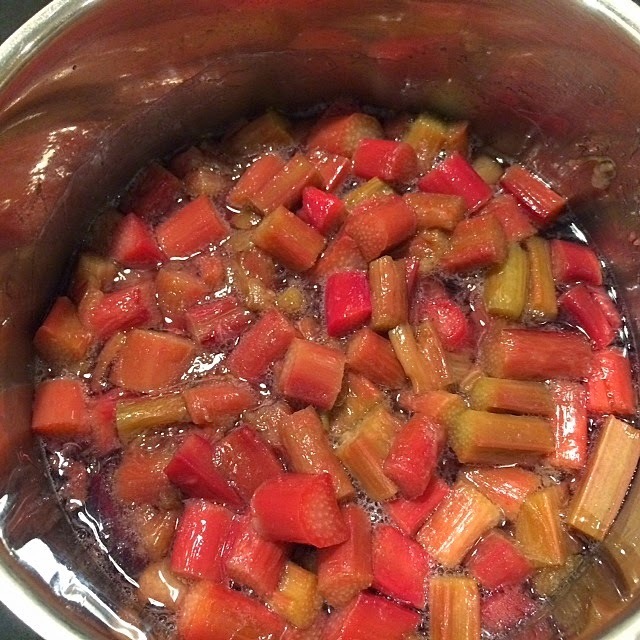 Fill the bottom pan with water -- do not add water to the rhubarb -- and let it steam for about 20 minutes. 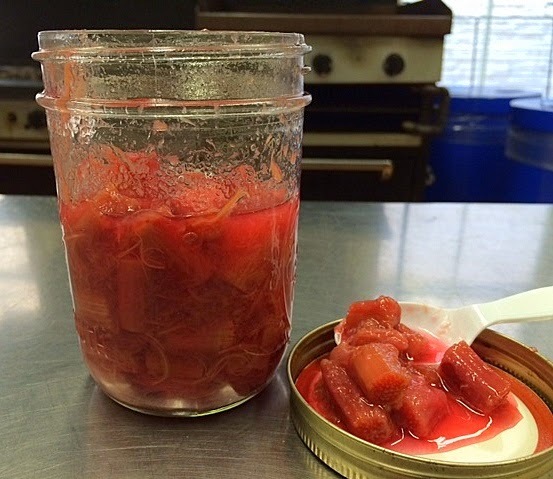 The natural moisture in the rhubarb will release, preventing it from burning. 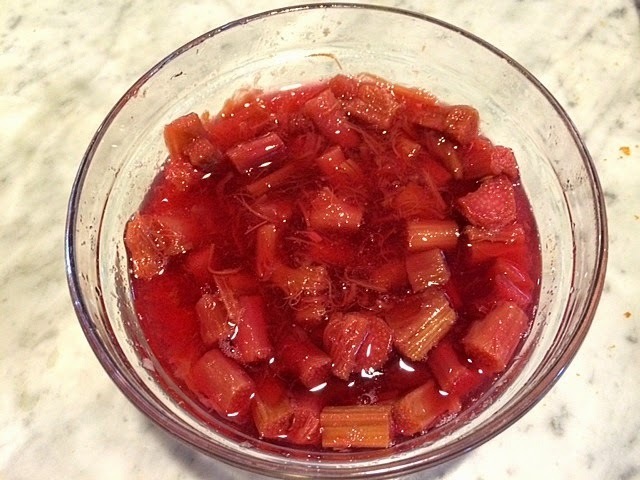 Add a bit of sugar and baking soda and voila -- rhubarb sauce. Perfect for cake or bread or pancakes. Production notes: I followed this exactly. 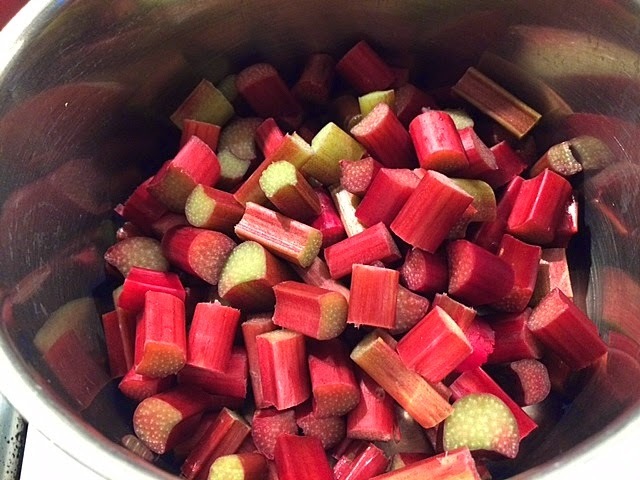 I filled a four-cup measure with the cut rhubarb to equal one quart. Not stirring the rhubarb helps it to retain its shape and texture. Now, on to the pound cake. 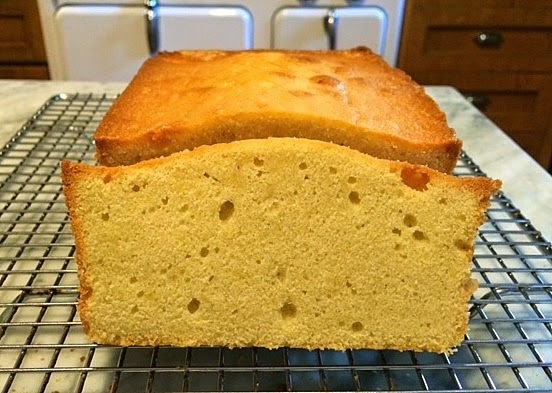 This is a moist and delicious (and rather dense: think Sara Lee) pound cake. It uses but five ingredients: sugar, eggs, vanilla, butter and flour. 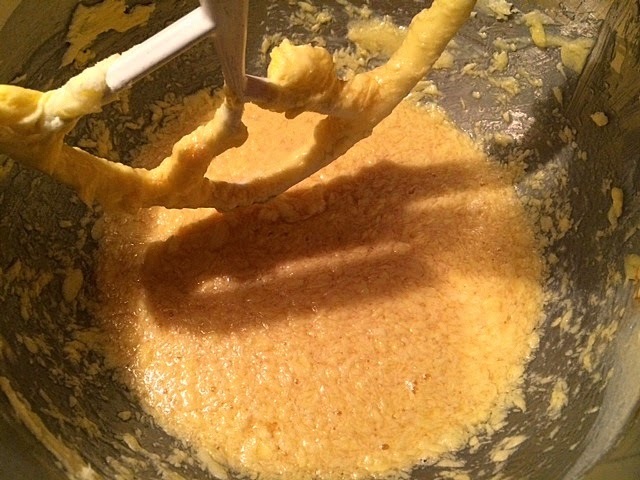 Its method is unusual, as the recipe calls for separating the eggs, and adding the yolks first and then the unbeaten whites.This will cause the batter to look curdled, but carry on as it will all smooth out when the flour is added. 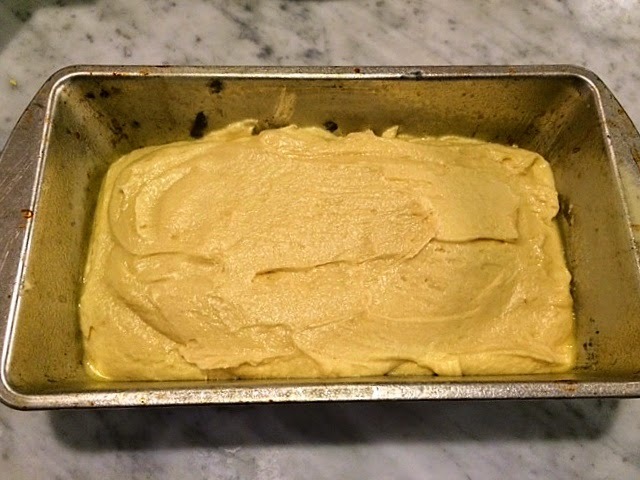 Grease and flour a loaf pan and spoon the batter in, smoothing out the top. Production notes: Do not bake for two hours! I baked this at 350 F for about an hour. Let it cool slightly in the pan before turning it out. The pound cake looks lovely, as all your desserts do. 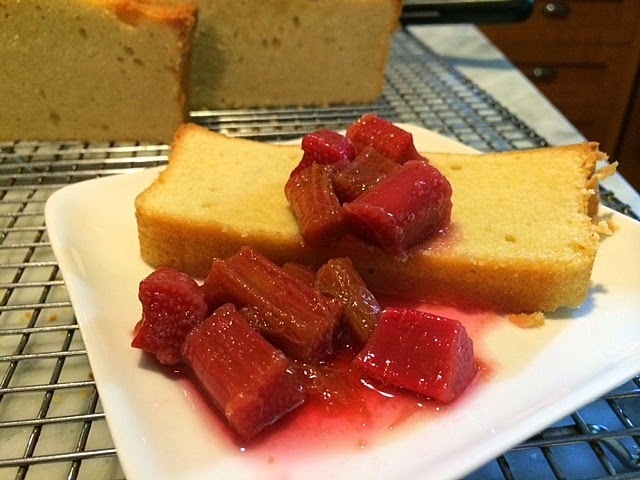 But I have to say, I love that rhubarb recipe! I agree, Melynda. The rhubarb is the winner in this combo. I've been enjoying it straight out of the jar! Thanks for writing.